Some home cleaning products may do more harm than good, but not ours. Here’s what you’ll never find in our Clean Cleaning, and the 100% natural ingredients you will find. It seems like every day we learn that another chemical is negatively impacting our health. Remember when we learned that a potentially toxic, estrogen-mimicking compound called BPA (bisphenol-A) was lurking in our water bottles? Or when we switched back to natural sweeteners after hearing reports that aspartame may be causing us more harm than good? When it comes to home cleaning products, there are very few requirements around what needs to be listed on a product’s label. This means it’s really hard to make an informed choice about what you’re using to clean your home. And, with the list of chemicals shown to be harmful growing all the time, it can feel like a challenge to use only products that are safe and effective. So what is the harm in using home cleaning products that aren’t 100% natural, or with unknown ingredients? The Environmental Working Group (EWG), a non-profit, non-partisan organization dedicated to protecting human health and the environment, says we should be very concerned about something called ‘toxic body burden’. Toxic body burden is the pollution that collects in our bodies as a result of exposure (especially over the longer term) to chemicals like those often used in traditional cleaning products. This means even though a chemical may not harm you right away, it can collect in your body and potentially cause future health problems. This kind of avoidable pollution can end up not only in our homes, but also in our bodies, simply as a result of using unknown chemicals to clean, deodorize and disinfect. Luckily, there is no downside to using 100% natural cleaners: your home will be clean in more ways than one. Fortunately, the rules for home cleaning products are changing. In October 2017, the California Legislature introduced Senate Bill-258: The Cleaning Products Right to Know Act of 2017. This bill requires manufacturers to list all ingredients used in the formulation of a cleaning product on the product’s label, as well as the manufacturer’s website. We’re with California and believe that what you don’t know CAN hurt you. We’ve listed every single ingredient on the products in our new, 100% natural Clean Cleaning line, regardless of what state or province our stores are in. We use only plant- and mineral-based ingredients we know are safe, so you can make an informed choice about how to clean your home, and keep your family out of harm’s way. 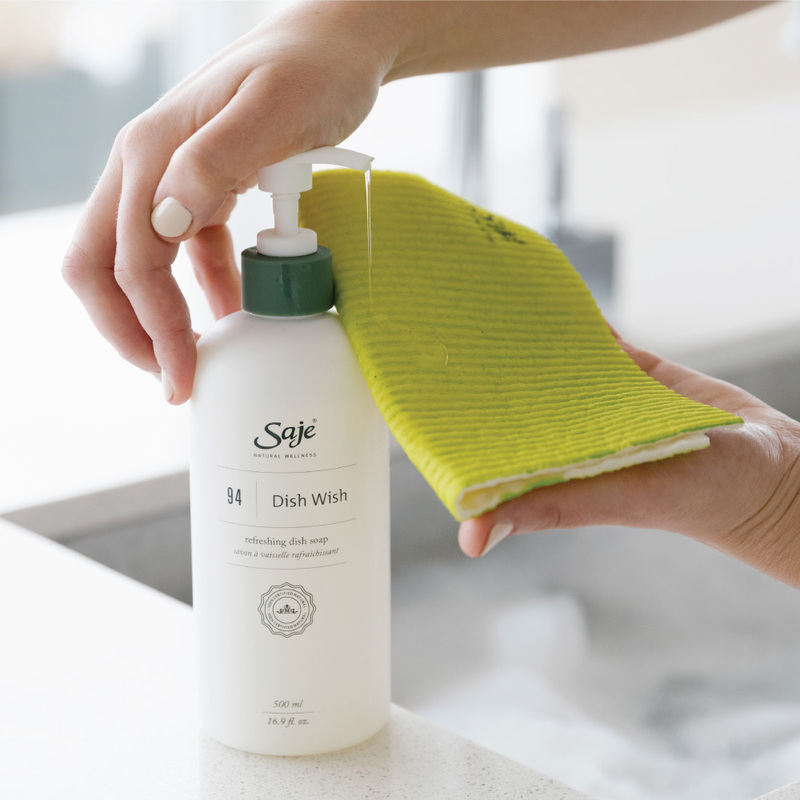 All of our products, including the Clean Cleaning lineup, are formulated with no synthetics, no fillers: just nature. Dish Wish, Glistening Glass, Multi-Clean and Bathroom Bright are all non-toxic and free of ingredients that we don’t want in our homes, like these harmful chemicals, found in many traditional products. Ammonia is a potent chemical with a strong, suffocating odour. It is often used in cleaning products, especially glass cleaner. Ammonia is harmful to the body, because it is caustic (meaning it can burn your skin), and can damage your lungs if you breathe it in. It gets worse: if you mix ammonia with chlorine bleach, the result can be something called chlorine gas, or mustard gas. This substance has been used in chemical warfare and causes intense, blistering burns on the skin and in the lungs. Chlorine bleach is commonly used to whiten and clean laundry, as well as in cleaning products designed to disinfect surfaces. Bleach can be very harmful to the body: accidentally ingesting bleach can damage your digestive system; getting it on your skin can cause burns; and inhaling it can cause damage to your delicate lungs. Phthalates are a group of chemicals used in the fragrance of all kinds of things, from toys to flooring to personal care and home cleaning products. Phthalates are known to be an endocrine disruptor, which means exposure can interfere with your body’s hormonal system and potentially cause fertility issues or developmental problems in infants. These chemicals can be inhaled, and can also enter the body through the skin. Artificial fragrance is sometimes listed as ‘fragrance’ and sometimes as ‘parfum’; but no matter what you call it, fragrance is a blend of many -- sometimes hundreds -- of chemicals. It is a common ingredient in almost everything: from colognes and perfumes to shampoos and body washes to cleaning products of all kinds. Because manufacturers and not required to list out all the of components in fragrance, you may never know what is causing irritation to your body, or worse, causing longer-term health concerns. Capryl/Capryl glucoside is made from fatty alcohol and glucose from coconut, kernel oil and vegetable sugars. It works to remove dirt from household items and surfaces, particularly in the kitchen and bathroom. 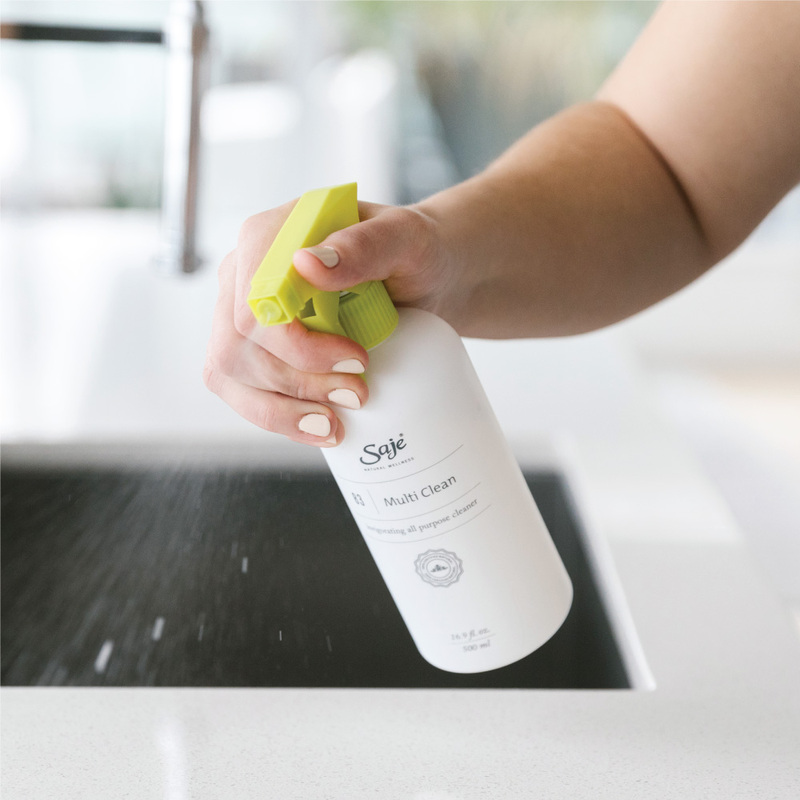 Look for it in Multi-Clean, an all-purpose cleaner that deodorizes surfaces and removes dirt and grease with the grime-fighting power of peppermint, lavender and rosemary essential oils. Sodium gluconate is made from fermented corn. It works to remove dirt, eliminates rust and prevents stains from redepositing on clean surfaces. Look for it in Bathroom Bright, a spray cleaner that will remove residue and soap scum, and freshen your bathroom with bright notes of lemon, tea tree and thyme essential oil. Lemon is an effective, versatile and natural home cleaning agent. It is known to cut grease with its fresh, cleansing and purifying properties. In personal care, it is also used to relieve colds and flu, while providing a sunny and uplifting aroma. 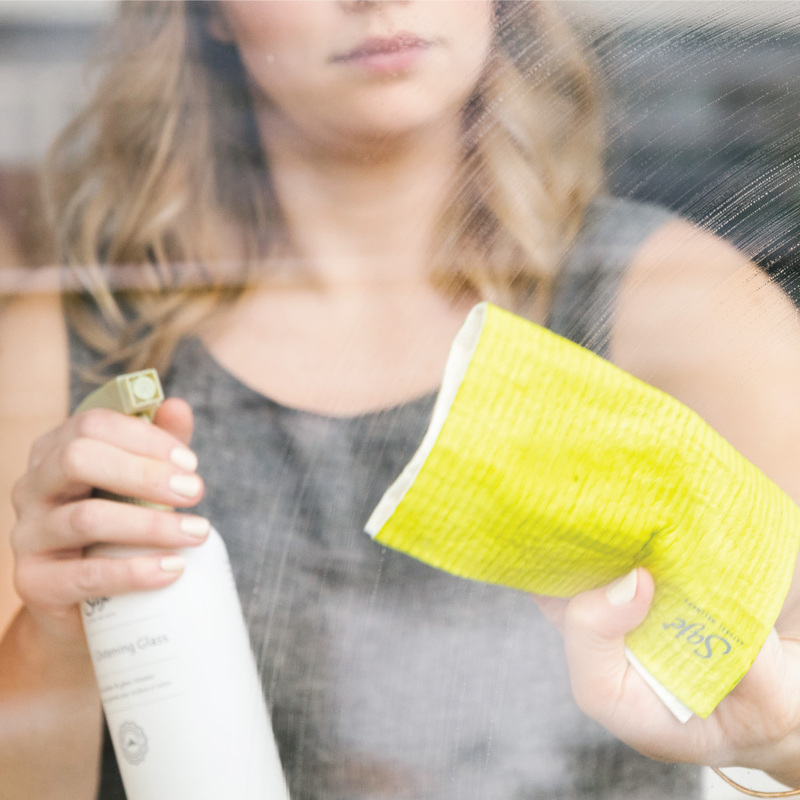 Look for it in Glistening Glass, which contains a powerful blend of lemon, grapefruit and orange essential oils to help remove dirt and fingerprints with just a few spritzes.